First a note to all you newbies out there: Halo 2 has dual-wielding. This means you can hold and fire two weapons at the same time. They don’t have to be the same two weapons, but only some weapons are dual-wieldable; you can’t dual-wield battle rifles, snipers or rockets, so don’t get too excited. Weapons that are dual-wielded are slightly less accurate and deal slightly less damage. You can’t throw grenades while dual-wielding, and if you melee you will drop your second weapon. Strangely enough, the iconic assault rifle, that makes it’s appearance in Halo:CE cutscenes with Master Chief even when the player wasn’t using one, isn’t found in Halo 2. Elites made their first appearance in Halo 2, much to the frustration of many competitive players, who noticed immediately that their hitboxes weren’t the same as Spartans. Hit boxes are where you strike the enemy to get damage. The Battle Rifle, for example, can kill in three body shots and a headshot in Halo 2, but in Elites there is a space between the head and body where it looks like you’re shooting it in the head but the shot doesn’t count. Halo 2 uses hitscan, which means there is no “travel time” from when you fire your weapon to when it strikes the target; therefore, you do not have to lead your shots in Halo 2 by shooting in front of a running target. Something of note is in Halo 2 it is easy to do the “no weapon” glitch, even in multiplayer. This is used by gamers to create machinima, but if your friends don’t know about it you can play a trick on them, all you need is a plasma pistol and Oddball. The way to do it is you charge your plasma pistol as you approach the Oddball, picking it up while your weapon is charged. Quickly step back and release it. If you time it right, you’ll have empty hands and no reticule on your screen, but if you walk over any weapons Master Chief will do what he do and re-arm himself. See a list of weapons that are to be found in the Xbox version of Halo 2 matchmaking, and their specs below. 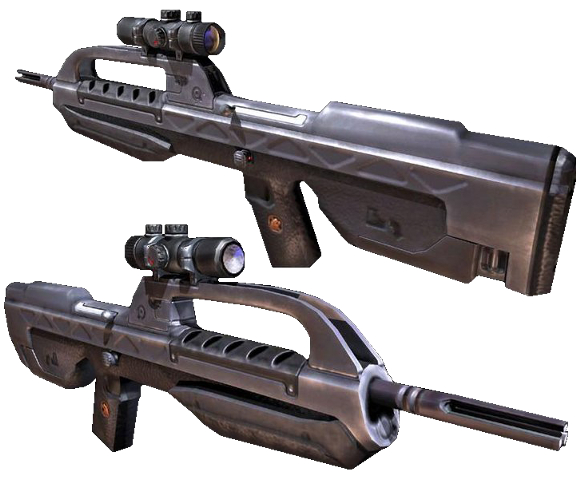 It might seem surprising to some, but the Battle Rifle made it’s first appearance in Halo 2, and was not seen in Halo:CE. Of note: along one side of this Battle Rifle are the Chinese symbols “猴王” which translates to “Monkey King”. 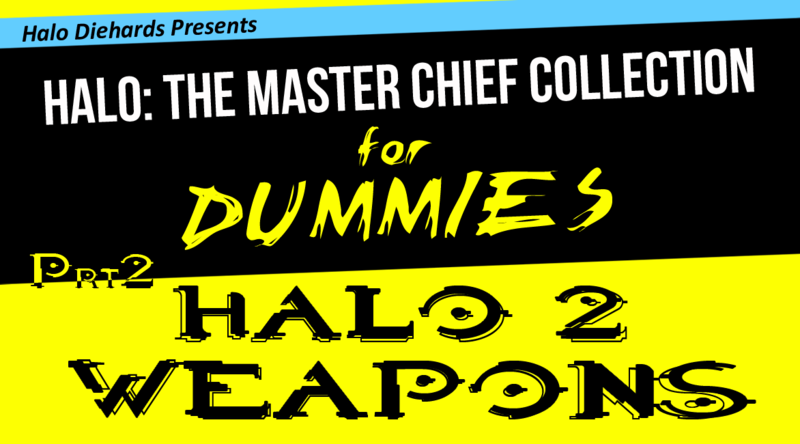 Don’t miss the weapon reload glitches and more coming in the tips and tricks episodes of MCC for Dummies! 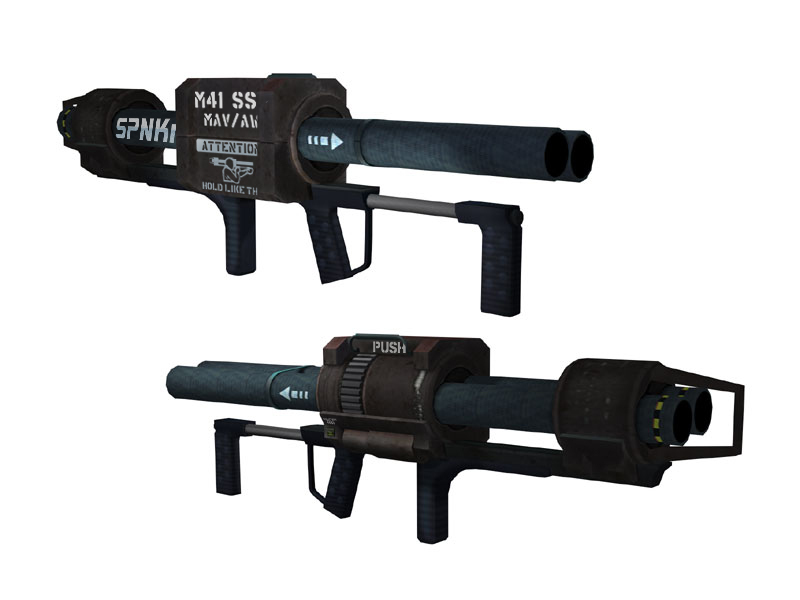 In Halo 2, the epic magnum was stripped of it’s glory, losing it’s scope and much of it’s power, but the ability to use it dual wield takes away some of the sting. As always, a very effective close-range defense weapon with one shot kills. In Halo 2 the melee speed was increased and the bullet kill range decreased. Damage to vehicles was decreased as well. Although the SMG has gnarly recoil, it works great close distance either dual wielded with another SMG or with a plasma rifle. It does not, however, have very good range. The main difference between the Halo 2 sniper and other Halo snipers is the magnetism when you swipe-snipe. Swipe-sniping results in a headshot more often than not, if you depress the trigger in the vicinity of the headshot. To swipe-snipe, simply move the reticule across someone’s head quickly as you depress the trigger. Of course “more often than not” means more often then not without the Halo 2 swipe-snipe magnetism. You still have to practice sniping to become a more accurate sniper. The Halo 2 M41 SSR (Surface-to-surface Rocket) has a mean vehicle lock-on. Once you take out the enemies’ transports with this bad boy, you won’t want any other Halo Rocket Launcher. In Halo 2 the rockets were given a faster reload and melee, and you can see how much ammo you have when scoped in. On the downside, this weapon was stripped of some of it’s power for Halo 2. Check out these guys playing with the Halo 3 Rocket lock on in this quick video – – looks like fun! Starting in Halo 2, it was possible to shoot grenades out of the air. Like Halo:CE, the frag grenades in Halo 2 are consistent and predictable, bouncing off at the exact same angles when thrown accurately. The charged plasma shot of a Halo 2 plasma pistol could chase a grunt down 50 feet of hallway and around the corner, completely removing his shields and rendering him harmless for the headshot. This weapon performs the same in Halo 2 multiplayer, allowing its wielder to easily take down the shields of anyone who’s unlucky enough to be locked on by it’s reticule. Once the enemy has no shields, they can easily be dispatched by a headshot from any variety of weapons, resulting in what is commonly known as the “noob-combo”. This carbine works similarly to other Halo installations, with a 2x magnification and good range. As long as you work to keep the reticule steady, spamming the trigger on this semi-automatic results in a speedy death to your enemy. Most people do not like the Carbine. Most people don’t know how to use it. The Halo 2 Plasma Rifle is a very powerful rifle and should not be passed up. It’s especially deadly dual wielded with any other weapon. 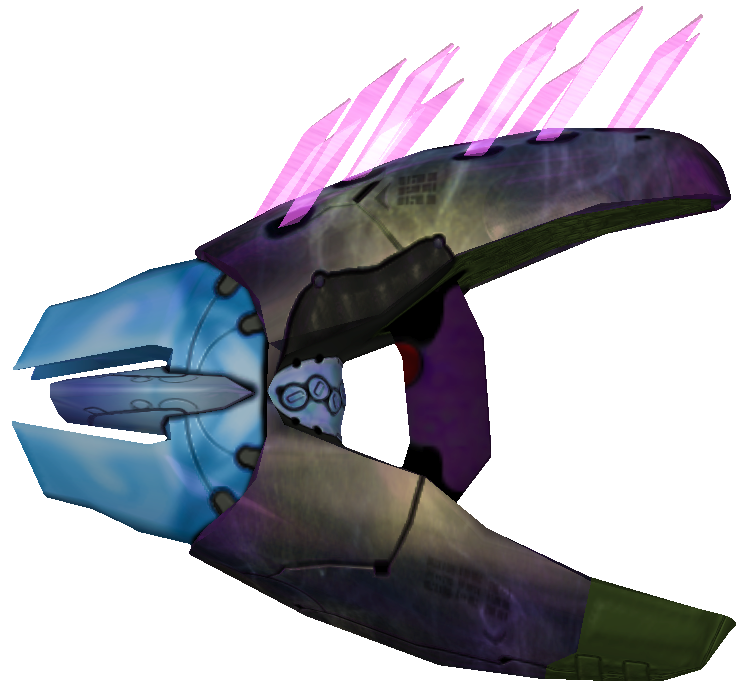 Like the plasma pistol, the Halo 2 Needler got an upgrade and has a gnarly locking mechanism. It ruthlessly tracks down enemies not only across long distances, but around corners as well. The resulting explosion can do damage to the wielder and teammates if they’re too near. In Halo 2 the energy sword has unlimited ammo in multiplayer. 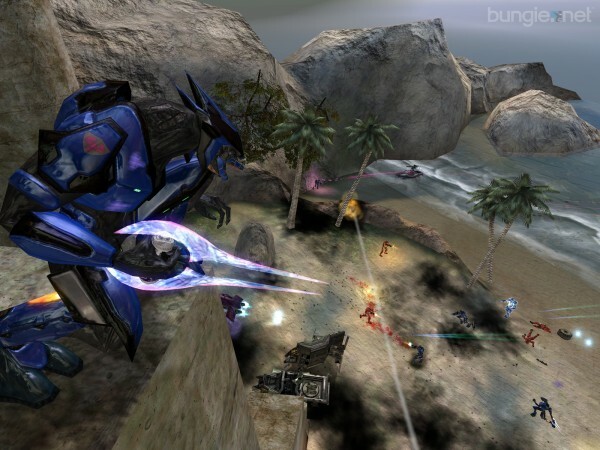 Unlike later games, once you’re locked on and your lunge starts, you will not change direction, although like later Halo matchmaking you can use the lunge to get up onto levels you wouldn’t be able to reach otherwise. When someone is coming at you with a sword, if you can side-step them and melee their sword arm, it is an instant kill. This Covenant sniper rifle can fire 18 bursts with a maximum charge, but be careful because if you fire them in too quick of succession it will overheat. The Covenant Brute Shot made it’s debut in Halo 2. The Brute Shot fires grenades that have significant splash damage and can be bounced around corners. Also making it’s debut in Halo 2, the sentinel beam is nasty shock indeed. Headshots seem more effective with this weapon, which can be used to great effect to distract, harass, take down shields and take out unsuspecting enemies, but beware of overheating. 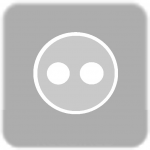 Plasma grenades were used for grenade jumping in Halo 2 matchmaking, but only if you were host. If you weren’t host, you ran the risk of killing yourself with the blast. Because Halo 2 will be ran on servers in The Master Chief Collection, it’s up in the air whether or not we’ll be able to use them to grenade jump in matchmaking, but since 343 has announced that host glitches have inadvertently been removed even though they took every effort to include each of the Halo games in their entirety, the Halo 2 grenade jump was probably one that no longer functions. That’s all we have for you today on Halo 2 weapons in matchmaking, but just as a little added bonus, check out this Halo 2 weapon sounds comparison footage that came out a couple days ago from PAX Prime, of Halo 2 weapons in The Master Chief Collection. We’ll be able to switch on the fly as we can in Halo:CE, but it will be much faster, and dayum those weapons sound good! What? I got something wrong, you say? Well lemmie know in the comments for gosh sakes so I can fix it!